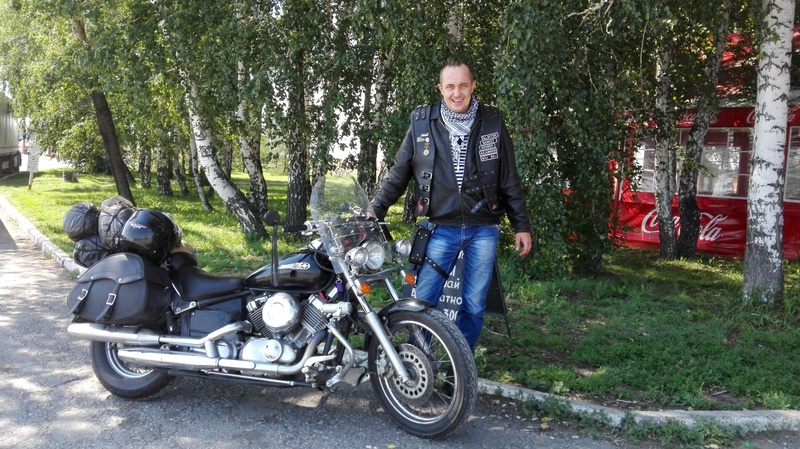 I am Andrey Ermolaev and my motorbike is a Yamaha Drag Star 400 Custom. I was born in 1973 in Siberia, Russia. As a teenager I had a motorbike Sunrise 3M and in those days there were no motor associations so we were driving ourselves. Later I sold the bike. I worked 15 years as a trucker and during this time I have covered a large part of the Russian territory. In the last 6 years I have been working in an office as a leader of an auto park but the desire to travel has intensified. Tired of waiting the sunset of my life in the office, 2 years ago I bought a Yamaha Drag Star. The summer in Siberia is very short and traveling far from here seems to be quite impossible for me; so I and the Baikot Motor Club attend every motor festival which takes place in Siberia during the summer. There is a bike house in our city and there are lots of motor riders who often come from different countries and continents. Unfortunately, we cannot always speak in our customers’ languages, but somehow we always understand each other. We are very happy seeing cyclists traveling through our city Biysk, and we will always be happy to provide them with any assistance needed. 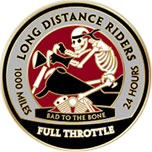 The motorcyclists are brothers everywhere. This year I participated in the Russian normative called “The Russian Distance” where I covered 1123km in 12h and 53 minutes. The second normative of this year was 1744km in 22h, and for the next year I plan to ride 1500 miles. In Siberia it is considered as a very serious endeavor to achieve.